This well-appointed development features 88 fully equipped executive suites within three separate buildings. 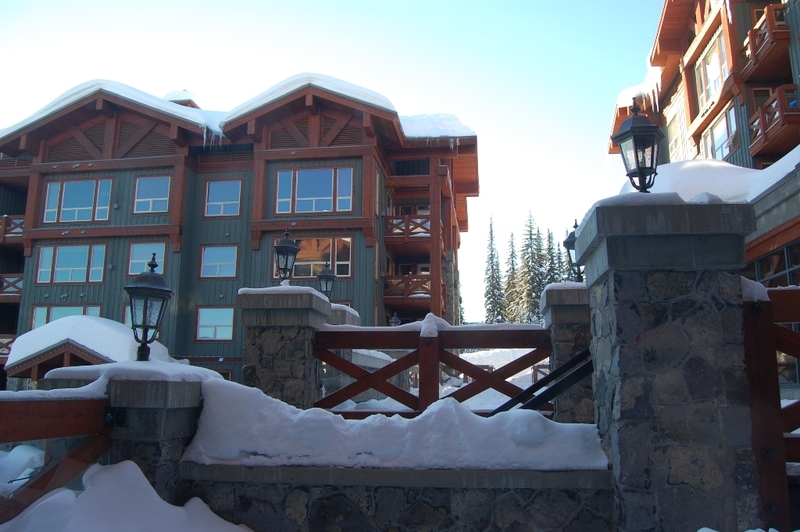 Located beside the Bullet Express chairlift, the Stonebridge Lodge provides guests with incomparable ski-in/ski-out access in the heart of Big White village. Price based on 6 adults. Each additional person(s) 19 and over, $25.00 per night. All rates are quoted per room/per night based on the minimum indicated occupancy. Minimum night policy for bookings made prior to October 1, 2018 = 5 night minimum (2 night minimum November 21 to December 19, 2018 & March 24 to April 22, 2019). Bookings made after October 1, 2018 = 2 night minimum. Exception: December 27, 2018 to January 2, 2019 = 5 night minimum. Exception: December 20 - 26, 2018 & February 15 - 21, 2019 = 5 night minimum. Exception: March 15 to 23, 2019 = 3 night minimum. All prices are in Canadian dollars. Click here for currency conversion. Taxes not included (8% HRT, 5% GST & 3% MRDT). Minimum age is 21 yrs to rent a unit. Exception: Minimum age is 25 yrs to rent a Bullet Creek Cabin and/or a Towering Pines unit. Exception: Minimum age is 24 yrs to rent a Grizzly Lodge unit. Exception: To rent a Stonebridge Lodge unit each adult must be over the age of 23, except in a family group containing multiple generations of related individuals. Children 18 & under stay for free.